So there I was on Saturday morning thinking about #codesign16 and the many problems learners and staff have with inappropriate learning spaces, or problematic environments that are impacting on the learning. I posted a Twitter poll on the use of Artificial Intelligence in supporting people in institutions to manage spaces better and be better informed on the environmental issues so could make better choices about what learning activities to undertake in that space. 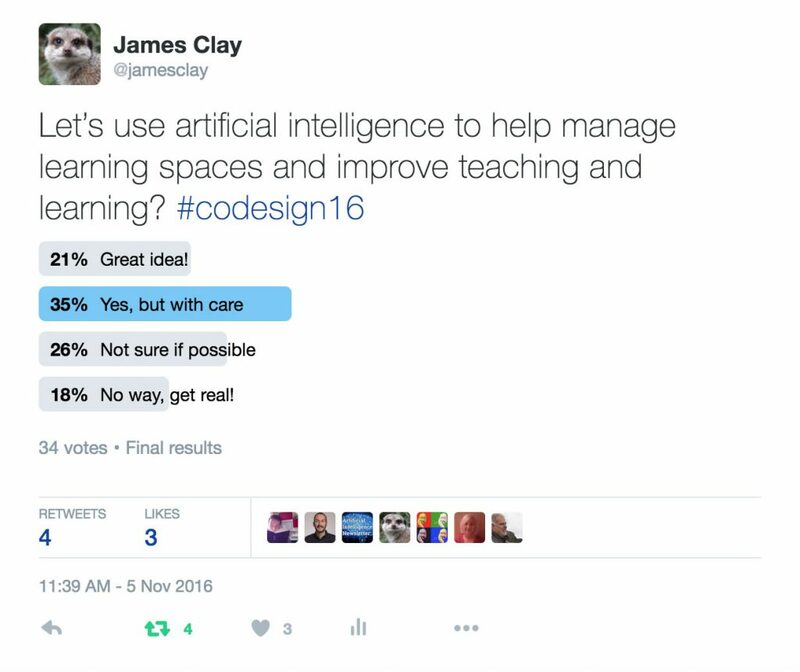 Posted by James Clay on November 7, 2016 in #codesign16 and tagged artificial intelligence, summary, twitter, twitter poll.